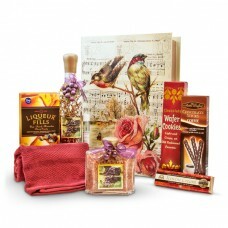 Pampering Her Bath Care Gift Deluxe, filled with indulgent bath oil, a soft hand towel, creamy chocolates and truffles. Relaxing afternoon gift. 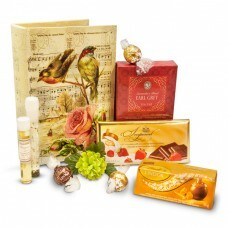 Pampering Her Bath Gifts, keepsake box can keep important treasures, filled it with relaxing bath oil, pleasing chocolates and tea.